Hey Golden Hawks- DJ Mola here, hope you’re all having a great week and are hanging in there during the crazy last month of the semester. If you weren’t able to turn into The Jam last night, you missed a great show, but don’t you worry- we’ve got you covered. A full tracklist will be posted at the bottom of the blog in case you wanna check out what we were playing this week. Instead of doing our usual show, we decided to switch things up. 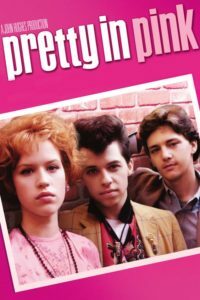 This week we went for a movie soundtrack theme, and we picked songs featured in movies such as Pretty in Pink, Pulp Fiction, and more that I will mention later. 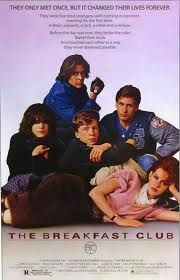 A lot of the songs from the movies we played came from 80’s movies- let’s be real, who doesn’t love a good John Hughes movie? Tunes by the Psychedelic Furs, The Simple Minds, and Peter Gabriel were played. 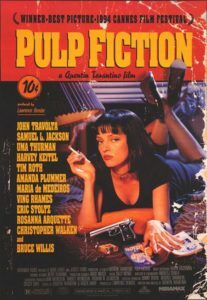 Of course, Pulp Fiction has a famous soundtrack, and we threw in a classic by Chuck Berry from the infamous dancing scene with John Travolta and Uma Thurman in the movie- You Can Never Tell. My personal favorite that we played tonight was a song from one of my favorite movies Pirate Radio. Jimi Hendrix’s tune The Wind Cries Mary is one of the many amazing songs on this soundtrack- it was really hard to choose only one song from the movie, there are just too many good ones! If you haven’t seen Pirate Radio yet, put it on your watch list. It’s an amazing movie about a British radio station that was going against the grain of mainstream public radio, playing less mainstream music, and talking about controversial topics in the 1960’s. 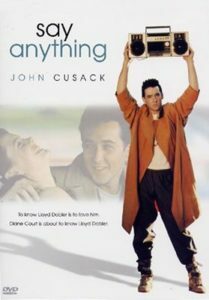 To be quite honest, this movie was what sparked my interest in getting involved in radio- so I have it to thank for finding one of my passions! We started our show with the BeeGee’s classic 1977 hit Night Fever, fresh from the soundtrack to Saturday Night Fever, and ended things off with a little Respect by Aretha Franklin. Overall, we had a great time on the show this week. It was definitely fun to try something new and switch things up on our show this week- you’ll definitely be catching us doing some more thematic shows in the next little while. Make sure to tune in next week- we’ll be conducting our very first interview on the show and we’re totally stoked! Enjoy a little clip from the movie Pulp Fiction- here’s the dance scene with Uma Thurman and John Travolta. Until next week, stay golden fellow hawks!